Learn how METCO Engineering implements microgrids as power backup to weather any storm. Literally. Our district energy microgrid models are the backbone of power supply that makes sure all systems are go. There is only one singular threat that all businesses face— a blackout. Currently, businesses in the U.S pay at least $150 billion per year in costs due to power breakdowns. U.S power plants are only 32% efficient and are miles away from the city. The solution would ideally be an autonomous power source that is onsite and has a greater efficiency. And this is why microgrids are important. A microgrid is essentially an independent energy system that is custom designed to meet the energy needs of a group of buildings. They can generate electricity, cooling/ heating, distribute generated electricity and manage power consumption intelligently. Integrate these systems with renewables like solar and you have a cost-effective, clean, efficient and sustainable energy system round the clock. In events like power outages, hurricanes, and storms, microgrids continue to provide energy to its connected users. Less electricity bills mean that you can invest your money back in your business. 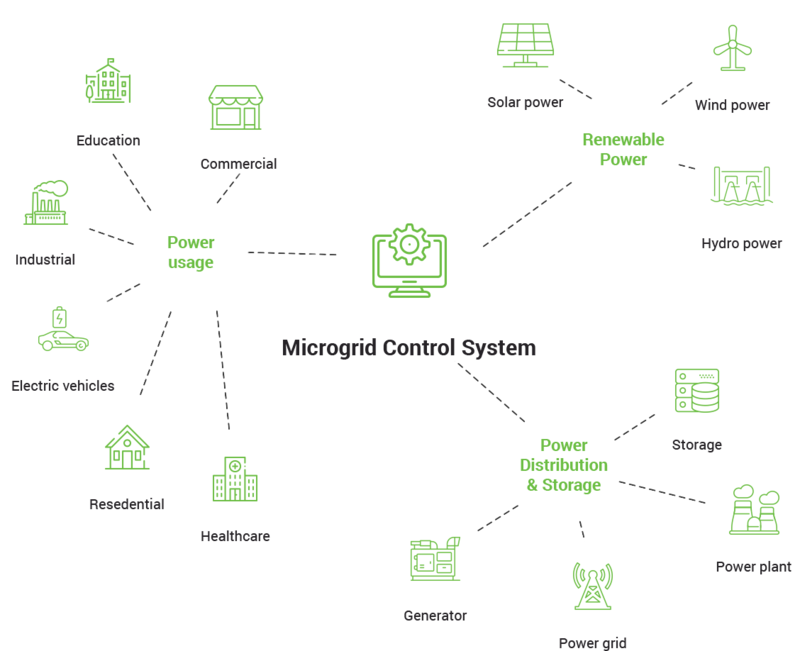 Integrating various sources of energy enables microgrids to deliver more advanced power quality and serve as reliable backups. Companies can generate revenue by selling the produced electricity and services back to the main grid.